Research & Education networks go where their customers go. So, while research and education grows increasingly global, networks do the same. One recent example is the prestigious Swedish Karolinska Institute’s opening of its first hub outside Sweden, the Ming Wai Lau Centre for Reparative Medicine in Hong Kong, inaugurated in October 2016. Karolinska is one of the world’s leading international universities in medical research, and the new centre amis to attract researchers from around the world experimenting with innovative ways of replacing damaged or lost tissue. The Lau Centre will focus on basic research concerning technologies of relevance to regenerative medicine, such as RNA technology, singe-cell analysis or genetic engineering. This is the first time a Swedish state-run university has established a branch in another country. 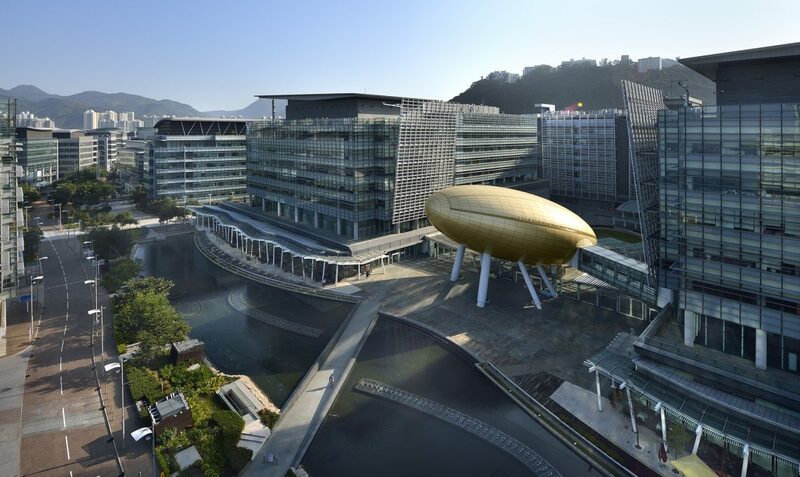 The centre consists of two nodes, one situated in Hong Kong Science Park (image), the other in Stockholm, and it has been fully funded through a donation of USD 50 million from the Hong Kong-based businessman Ming Wai Lau. Researchers need connectivity, so Karolinska entrusted Swedish R&E network Sunet and Nordic regional network NORDUnet to supply e-infrastructure between Stockholm and Hong Kong, initially at 1 Gbit/s with an option to upgrade to 10 Gbit/s at a later stage. The task was completed in May, but not without difficulties. Transporting a Juniper MX-80 router from Stockholm to Hong Kong took six months. Because of its ability to run the SSH cryptographic network protocol the Chinese authorities classified it as military equipment. The paperwork for this issue alone amounted to a stack of two centimetres. The primary fibre route between Stockholm and Hong Kong now goes from Sunet through NORDUnet to Frankfurt and from there across Russia and China to Hong Kong and has a 170 msec latency. If the Russian fibre route along the Trans Siberian Railway is exposed to fibre cuts, and that happens 10 to 12 times every year, the alternative route goes south via sea cables through the Mediterranean and along the Indian coast to Indonesia. If both routes fail the secondary route kicks in and sends data westwards across the North Atlantic, the US and the Pacific Ocean. The latency here is 210 msec. This story is a shortened and re-edited version of a blog post published by Sunet (in Swedish).